The filters change which feed items get imported. If a particular post has keywords/ phrases that do not match your filters, it will not be imported. The feed item title only. The feed item's content only. You can set this from the Keyword Filtering section where it says Apply the above filtering methods on the: [...]. NOTE: Be sure to use commas to separate one keyword/keyphrase from another. 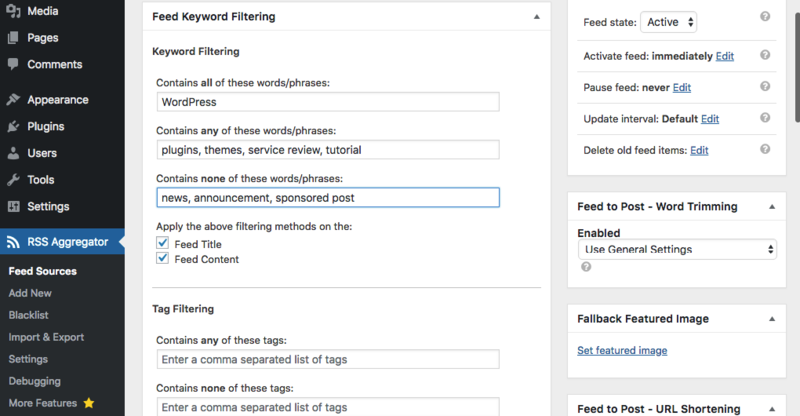 WP RSS Aggregator will look through the feed item in the RSS feed to look for the keyword or phrase entered in the Keyword Filtering settings. What this means is if you are filtering through the content, and you use our Excerpts & Thumbnails add-on, setting the excerpt to only display 40 words, if the keyword you entered is the 42nd word, the feed item will still appear in the feed item list (when using the shortcode). 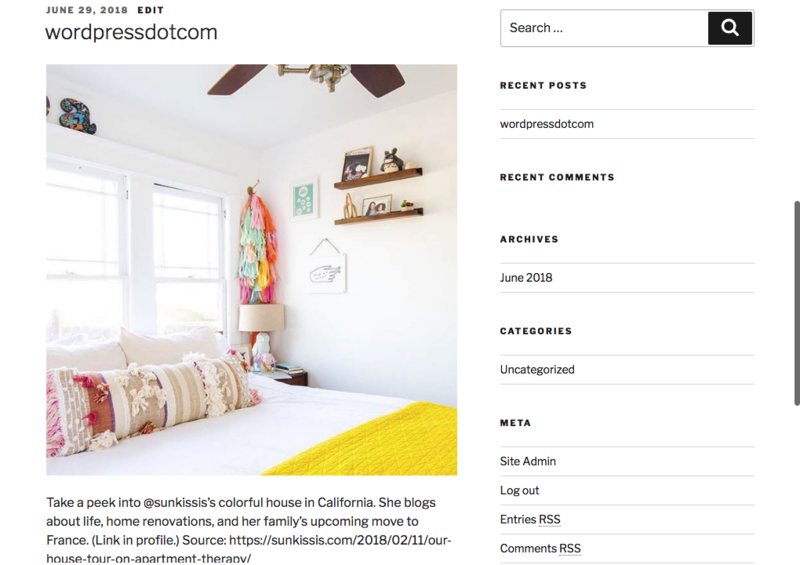 Contain the word ‘WordPress’ in their title or content. Contain any of the words or phrases ‘plugins’, ‘themes’, ‘service review’, ‘tutorial’ in the title or content. Do not contain the words or phrases ‘news’, ‘announcement’, ‘sponsored post’ in the title or content. 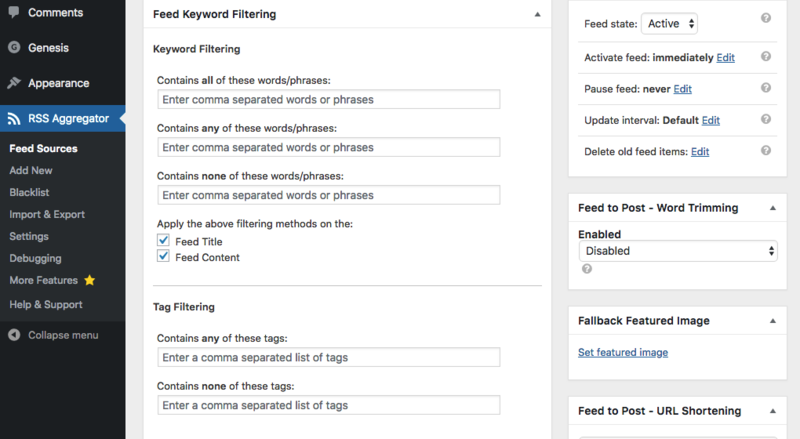 IMPORTANT: The keyword filtering functionality does not match full words, so if the filter keyword you enter is part of another word, that other word will always get picked up too. For this reason, watch out when picking short roots of words that unintentionally include other words, such as using “arch” to get archaeology-related feed items. This keyword will also include words such as “architecture” and “arch-enemy” in your filtered items.